Is The Plough pub under threat of closure? A group of regulars at The Plough have started a campaign to protect the pub from any future attempts to close it or turn it into a convenience store. 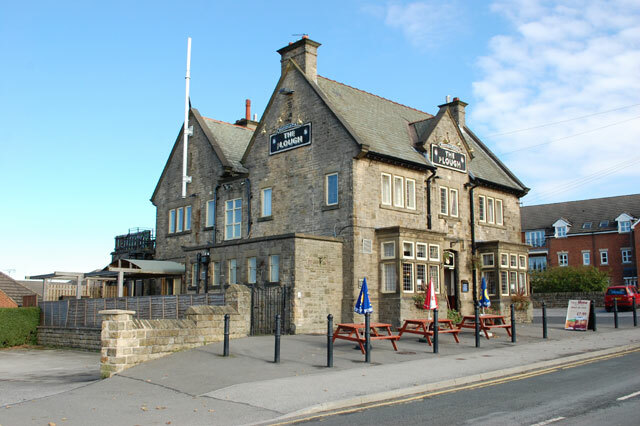 There’s currently speculation around what the future holds for the Sandygate Road pub. As a result, a group of drinkers are exploring whether it could be registered as a community asset to help protect it from any future developments. They’ve launched an online change.org petition and a paper petition in the pub that you’re invited to sign. There’s also a Save the Plough Facebook community group which they’ll use to keep everyone up to date. Concerns were also raised by Crosspool residents at the Open Meeting last Friday and a local councillor has promised to investigate how likely it is that The Plough will become a convenience store. This entry was posted in businesses, crosspool, drink, food, hallam fc, pubs and tagged campaign, change.org, closure, community asset, convenience store, petition, sandygate road, supermarket, the plough. Bookmark the permalink. 3 Responses to Is The Plough pub under threat of closure? Unfortunately, The Plough is destined to close (as a pub). The reason for this is that it does not generate enough revenue (as a pub). The reason for this is that those who want the pub to remain as a pub, including many who have signed the petition, don’t actually use it. The reason for this is that a large proportion of the Crosspool Community (I lived there for fifteen years and put plenty of cash over the bar of The Plough) prefer to open a bottle of Shiraz, sourced from the local ‘Spar’, and cuddle up on the sofa whilst watching ‘Strictly’. They want the pub to stay open so’s they can take mum and dad there at Christmas. For the other 51 weeks of the year, it can close, for all they care. Unfortunately this is a lost cause, simply because it’s much easier to sign a petition than it is to spend money. Fair comment Jody. Another reason why it might close is that it is a crap pub. I went in for the first time last night. The lighting was really bright, as in a kitchen show room or something. The woman behind the bar stared at me and made me feel unwelcome when i asked the question “Isn’t this one of the oldest pubs in Sheffield”. Instead of knowing the answer or at least responding to my curiosity with “I don’t love” or something similar, she scowled. There was no background music, a ten year old girl stood in the bar (fair enough having kids in food pubs, but on a Saturday night in the bar??). Overall, no effort or thought has gone into the ambience or any aspect of the pub.